In a series of upcoming articles, I will be exploring the world of makeup with you. Each major area of makeup application will have its own mini-series and we will begin with the face. Inshallah. Learn tips, tricks and techniques on making your skin look flawless! Be sure to follow the entire series for best results. Enjoy! Before we can even begin talking about foundations, concealers and powders, we have to prepare our face for makeup application. 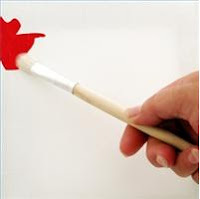 Think of your face as a canvas – having the right texture canvas can positively impact not only the overall look of the painting, but the actual application of the paint is easier! The same goes for makeup application – if your skin is properly cleansed, exfoliated, and moisturized, your foundation will look much better (not to mention your skin will look better overall) and you will most likely use less product than you would if you weren’t taking care of your skin. Depending on your skin type, you’ll probably go through quite a few cleansers before you find out what works best for you. With a plethora to choose from, it’s hard to distinguish what is good for your skin and what isn’t. These are some general tips that I like to stick to, but I’m no expert. · Always try to use things with natural ingredients. This doesn’t mean reaching for everything that says organic.There is a lot of misinformation out there regarding product ingredients. Checkout www.cosmetics-database.com for individual ingredient safety levels. · Higher price does not always mean better quality. Be sure to cleanse two times per day – in the morning and before bed. Also, it is very important to not fall asleep with your makeup on. It’s the worst thing that you can do to your skin. Exfoliating is equally important. At least once a week, use your favorite exfoliator to rub off dead skin cells. Without this, your makeup could actually accentuate your blemishes and other imperfections. Check out a few homemade exfoliant recipes here. Cleansing, UV Rays and other environmental elements can all dry out your skin. Moisturizing is key to restoring balance back into the skin. Again, my personal tip is to watch out for those ingredients and put only the best ingredients onto your skin. For people with oily prone and combination skin, it’s important to use a moisturizer that is tailored to your skin type (oil-free, etc) Or else, the moisturizer may contribute to skin problems. Be sure to actually massage in the moisturizer instead of simply ‘wiping’ it on. Don’t forget the bridge of your nose! Don’t forget your lips. Use a good lip balm before going to sleep. 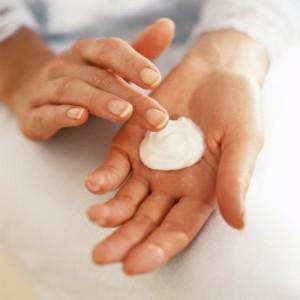 Let your moisturizer sit for at least 15 minutes before applying your makeup. Ok, so here is where the actual ‘cosmetic’ part starts. Primer is now becoming more readily available and affordable for the rest of us! You might be asking, what exactly is a primer? Primer helps smooth fine lines and minor imperfections in the face and helps foundation, blush, and eye shadow go on smoother. Many women still feel this is an unnecessary step in their cosmetic routine, but once you start using it, you can’t stop! Personally, I feel I use less foundation when I use primer and my face generally looks smoother. There is also separate eye, lip and eye lash primer, but we will talk about those in later articles, inshaAllah. 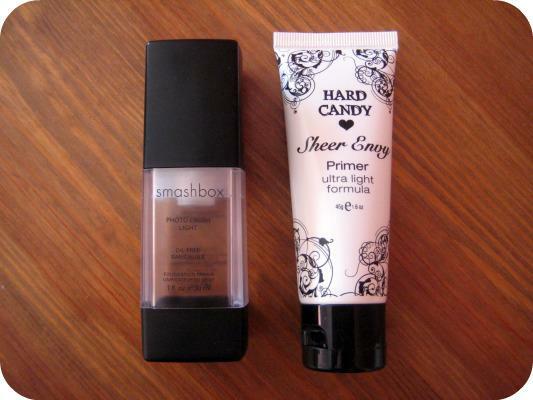 Product recommendations: For those on a budget like myself, I recommend Hard Candy’s Sheer Envy Primer. 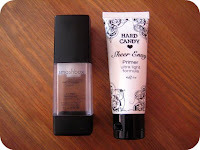 For the splurge, Smashbox’s Photo Finish Foundation Primer is makeup artists favourite primer. If you have any questions, feel free to comment and I will get back to you! 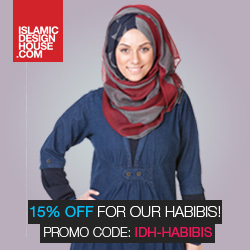 Be sure to share with your friends and become a fan on Facebook if you haven’t already! User (Me): do lancome products contain any animal by-products? Lancôme Advisor: We do not use ingredients derived from beef or pork in any of our products.Cosmetic products may contain ingredients derived from animal sources such as sheep's wool, milk, honey, as well as fish derived ingredients.Animals are not harmed to obtain these ingredients. I'd contacted Smashbox as well but they never got back to me. We should make sure we're not smearing najs animals on our beautiful Muslim faces. ...not just Najs animals but also Najs substances! I dont think using alcohol on your skin is haram as your not ingesting it...like using an hand sanitizer that contains alcohol..or perfumes etc..and sinc they are menat to be used externally I dont think they are at such a concentration that would intoxicate. It's not an issue of the cosmetics intoxicating us. It's that (some) scholars consider intoxicating substances najs (impure) and therefore consider it undesirable for external use as well (except for medicinal purposes). It's a fiqhi issue.